Falmouth Lifeboat dispatched to rescue two people who became stranded when their vessel started sinking. The two individuals were found on a sinking dingy near the Prince of Wales Pier. With their phones left on shore, they were stranded without means to contact emergency services and instead had to resort to shouting for attention. Luckily, a by-passer heard their calls for help and alerted the coastguard. The first survivor, a male, was found in the water and informed the rescue team that another person was stranded near the vessel. Falmouth Lifeboat Station deployed an ILB to the stranded individuals. They, along with the Falmouth & Helston Police, South Western Ambulance Service and Coastguard Rescue 924 all worked to ensure that they were safe. 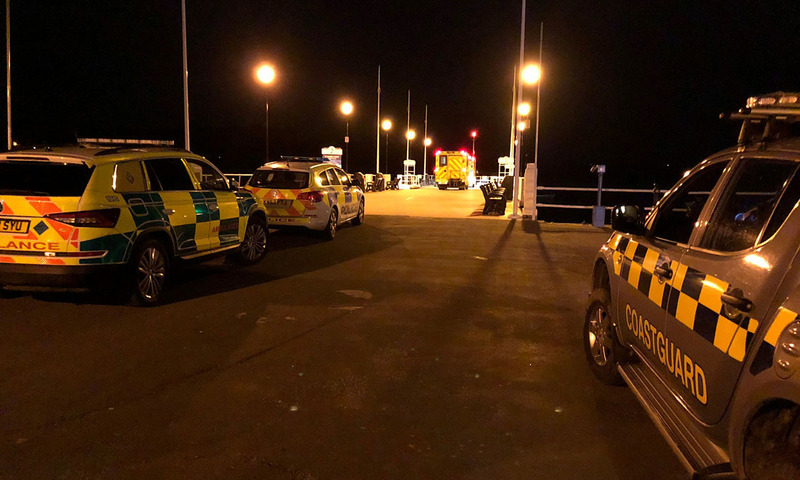 According to a statement sent out from the Falmouth Coastguard Rescue Team, the two individuals estimated that they had been in the water for 45 minutes before they were rescued. Falmouth Coastguard Rescue Team has said they are very lucky to survive, especially considering they did not have life jackets and the boat was unlit. Just four days ago, on Monday, a body was also found in the water surrounding the Prince of Wales Pier. When incidents like these happen, it is important to remember how dangerous the sea can be and to take preventative measures to ensure you’re safe. Coastguard groups, such as the Royal Life Saving Society, have put emphasis on teaching people about the risks you take when you enter the water. One of their campaigns, “Don’t Drink and Drown”, works to raise awareness of staying safe around the sea while under the influence.